​Facial Rejuvenation Acupuncture is a gentle, effective, and safe way to erase years from your face without the risk or downtime of surgery or injections. Acupuncture offers many benefits to those who want to revitalize the look and feel of their skin. It builds collagen, tones muscles, improves circulation, and stimulates blood flow with no risk of scars, infections, rashes, or toxic build-up of chemicals. Facial Rejuvenation Acupuncture is much more than a cosmetic procedure. Acupuncture changes the energy flow within the body and initiates the process for rejuvenation on a deep level. If energy is not flowing freely throughout your body then your organs, muscles and lymphatic system cannot function properly, which can contribute to puffiness, bags and premature aging. Chinese medicine is based on the principle that health is manifested from the inside out. Using this holistic approach, not only do your frown lines disappear, but you also feel better overall, sleep better, and have more energy and better digestion. As you age, the 57 muscles in your face gradually lose their tone and mass which causes the sagging, wrinkling and tired look associated with aging. Acupuncture stimulates the muscle function, thus returning the face to a healthier, revitalized, youthful appearance. ​First, hair thin needles are placed in the outside of the ear to induce relaxation, then body points are used which are tailored to the individual’s specific needs. There is a sense of well-being as a flood of endorphins is released throughout the body. 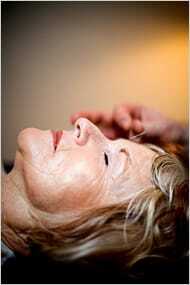 Once you are in a state of deep relaxation, needles are placed on the face in acupuncture points as well as wrinkles. The needles placed in the wrinkles create a micro trauma, which causes collagen to be produced. ​The best results are seen when treatment is done in a series of weekly or biweekly appointments. The first visit lasts 2 hours and follow up appointments are 90 minutes. After the initial series of 12 treatments, monthly appointments are recommended to maintain results. *Current acupuncture patients do not need a First Visit and can start immediately with Follow up Visits. *There is no expiry date on the Series of 12 purchases, therefore they can also be purchased to use for maintenance treatments as needed. If you don't want to commit to a full series of Facial Rejuvenation right now, but would like to test it out and see what you think... I now offer Mini Facial Add-ons. This requires an extra 15 minutes of treatment time which is added to your normal acupuncture visit. You can choose to work on one area of the face. For example, brow wrinkles, laugh lines or upper lip wrinkles. Please ask me for more information if you are interested.